Four words that can make you salivate: Chicago’s Italian Beef Sandwiches! No other beef sandwich comes close to the ones made by our family. You bite into your sandwich and taste the tender beef, the sweet green peppers, and you hear the juice drip down on your plate. You wrap the yellow crackling paper tighter around the sandwich so nothing else escapes. You can’t help it – a huge smile spreads over your face. You feel like you are in Heaven. You finish your sandwich. It’s gone. It’s over. How long until you can eat the next one? 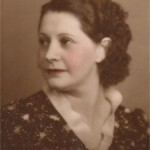 The original Italian beef sandwich recipe spans three generations and was created in the 1940’s by Margie (John’s daughter) and Edith (Luke and Muriel’s mother). 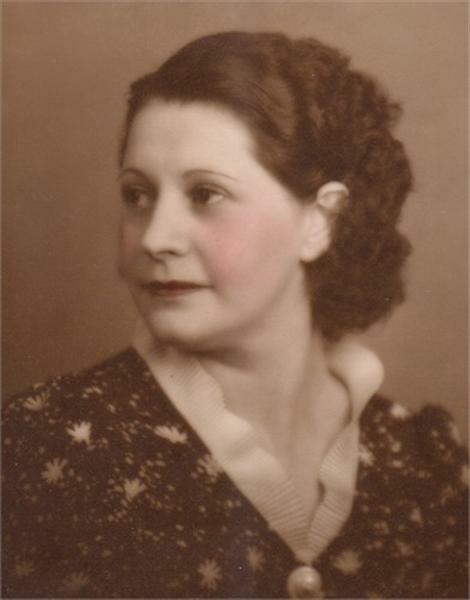 Margie and her husband Al Vitullo owned an ice cream store under the El tracks on Hoyne Ave and added the sandwich to the menu. Their most popular beef stand was located at Cicero Ave and Kammerlig St.
And as they say – the rest is history! Frank Jr (Luke) began his restaurant in 1965 and now has restaurants in Tucson. Luke is still working full time, he says he doesn’t know what he’d do with himself if he retired. Information about Luke’s restaurants can be found at www.lukessandwiches.com. Luke’s two sons Joel and Cary operate branches in the Phoenix area and this is the link to their website http://www.lukesofchicago.com/. Luke’s son Matt owns a restaurant in Elkhorn WI. Luke’s sister Muriel and her husband Justin Fortuna opened their stand in 1976. They have three restaurants, one on North Ave in Chicago, one in Harwood Heights, and one in Schiller Park. Their website is www.jaysbeef.com . The restaurants are named after Muriel and Justin’s son Jay who now helps run them. You’ll find Muriel still putting in a full day’s work behind the counter. Luke’s sons, Kenney & Gregg, also have restaurants in Tucson, Arizona. Gregg and his wife, Patti, ownand operate 2 Little Luke’s Italian Beef restaurants. Kenney and his wife, Kate, own and operate Kenney D’s Chicago Style Sandwiches, which offers a variety of sandwiches inspired by the original “Luke’s”. Even Luke’s daughter, Lisa, owned/operated a Luke’s Italian Beef restaurant before leaving the Chicago area and moving to Tucson. Italian Beef is an integral part of our family’s history and it’s been a part of each of Luke’s 6 children’s lives. One day I am sure we’ll see grandchildren and great-grandchildren continuing the legacy with stores of their own. Hey Del Principe family! My name is Mike Altmayer, every time I am eating a great Chicago style dog, I like to tell my kids about the good old days working with Gregg and the rest of his family at the local Arlington Hts. Lukes – IL location. Me and my twin brother where best friends with Gregg in the day. Great Beefs! And a better Family. We really miss that classic dog joint and their family tradition. Mr D was so cool to let us sling dogs and fries for all the happy customers during our summer breaks. 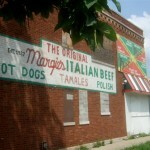 Hi…..I just wanted to inform You about The Original Margie’s Beef….. 1324 N. Cicero Ave. Owned by Al & Margie Vitullo…….who lived right down the street . 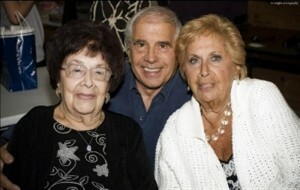 Al took a Partner back in the Early 1960s Raymond Donnini who became a Co-Owner…. and later bought Al out and In 1977 Ray Opened the Margie’s in Westmont….. and in the 80s the Original Building burnt down and someone reopened in the building across the street…it had nothing to do with the Original Margies. I have Photos and more info for you email Me.